When you have an idea for a new business, it's easy to get caught up in the excitement of getting that started. Brainstorming names, designing your website and creating your marketing strategy occupy your mind. Soon, the elation of the first sale subsides. Now, you're operating a day-to-day business which comes with financial responsibilities. Did you know that the majority of small business owners spend over 80 hours a year on business accounting? This includes things like taxes, payroll, and other accounting obligations. That's the same as two full weeks of work! Imagine if you could outsource that work instead. Well, it turns out you can with a white label accounting service. Read on to learn about white label services and the benefits of outsourcing your accounting needs. Generally speaking, white label products and services are produced by one company and then rebranded and sold by another. For example, Company A purchases digital marketing services from Company B. After the sale, Company B outsources the content component of that package to Company C, a white label content company. This means they don't need to spend the resources on content creation. Finally, Company A repackages the content as if they had made it themselves, in the first place. These days, the definition of white label services has been expanded. It now includes products and services that are not being resold but are part of business operations. This can include purchasing white label content for your own website or business services like white label accounting. What Services Do White Label Accounting Firms Offer? White label accounting firms offer a full range of services. For a small business, they can take care of your day-to-day accounting. This includes drafting reports and monthly or quarterly financial statements. Additionally, they offer auditing support, inventory management system and tax preparation and filing services. When you hire an accounting service, you can reach out to them with any financial questions you have including how to follow local laws and about changing your business structure. Even dedicated accounting firms sometimes turn to white label accounting services when their workload gets to be too big. This might happen during tax season when they've taken on more clients but a white label accounting service can also help an accounting firm quickly scale up their business. Previously, only large companies could afford to outsource their accounting needs. However, with the rapid increase in Software as a Service (SaaS) platforms, more and more small business are choosing to outsource parts of their business and reap a variety of benefits. You wouldn't hire a tennis coach to teach you golf. By the same logic, unless you're a trained accountant, it doesn't make sense for you to spend your effort trying to organize your business' accounting and financial transactions. When you outsource these tasks, you are free to focus on the things you are good at. By outsourcing or hiring contractors for the different elements of your business like website design, content creation, and yes, accounting, you are able to focus on growing your business. A general accountant with just one to three years of experience earns $60,000 per year on average. With a senior level general accountant, that average goes up to $80,000 per year. White label accounting services are significantly cheaper with plans starting as low as $250 per month for small businesses. And it's just the savings on salary. Outsourcing your accounting needs saves on overhead costs associated with having employees including training, hardware, employee benefits and more. With junior accountants, there's also the financial risk if your accountant makes a mistake. Small businesses, specifically companies with fewer than 100 employees, are the most at risk for fraud. The Association of Certified Fraud Examiners reported that small businesses have an average loss of 5% of their gross revenues working out to a median loss across small businesses of $164,000. When you have small teams it is difficult to incorporate an effective system of checks and balances into your accounting procedures. Besides the fact that it requires additional manpower, it also leaves employees feeling like you don't trust them. With a third party accounting service, you benefit from an impartial relationship with your accountants. Additionally, third-party accounting firms already have their own internal audit procedures to protect their employees and clients. If you've hired a junior accountant, you can be fairly certain that they are not yet an expert in their field. There's the benefit of a lower salary but with that comes less expertise. However, with a white label accounting service, you benefit from senior and junior team members working together on your accounts. They will make sure that your accounts payables and receivables are up to date and that payroll is processed on time. More experienced accountants can also help to lower your tax burden. Over time, accountant's become more familiar with the tax codes that govern their industry so they can monopolize any tax breaks that work to your advantage. Not to mention the advantage of not having to do your business taxes on your own! Outsourced accounting firms are always updating their accounting processes to be more efficient. This will help them to reduce the time it takes for your accounting to be processed compared to doing it in-house. Accounting firms work with the latest accounting software which gives them not just the expertise, but also the tools to improve things like how you process payroll, track sales and expenses and create a better cash flow system. 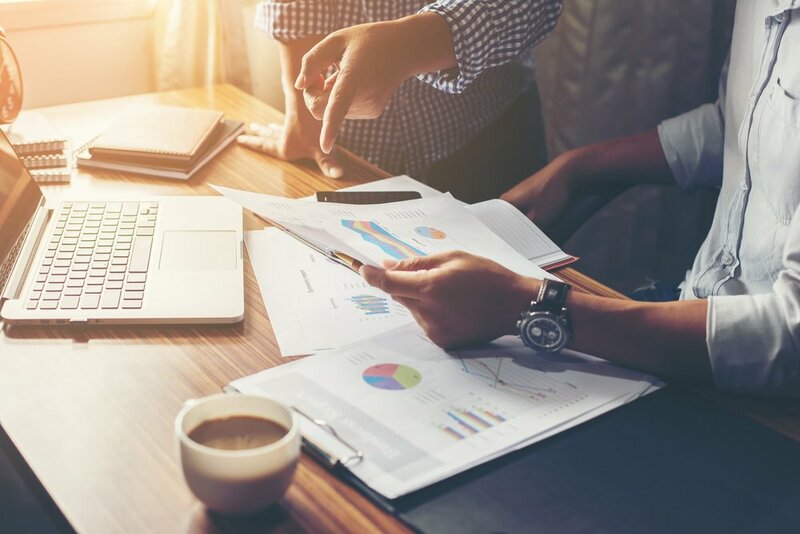 If you have an in-house accounting team, it can be difficult for them to quickly adapt to the changing nature of your business. In some businesses, the work comes in floods and droughts. On the one hand, you're left with a stressed out and overworked accounting team. Alternatively, your employees end up with nothing to do and you debate making redundancy cuts. Even if your business is showing consistent growth, hiring a new team member isn't easy. These days, it takes an average of 26 days to make a new hire and that's just counting from the beginning of the interview process to their first day on the job. On the other hand, a white label accounting service can scale up with your business when business is booming and then scale back as needed during leaner times. Outsourced accounting firms, use cloud-based software to store your financial data. That means you can see any financial statement you need at anytime no matter where you are. It's important to have quick and reliable access to financial information like cash balances and liquidity at all times. Having up-to-date financial statements and records give you the confidence to make business decisions based on the reliability of that data. It may seem prudent to hire a junior accountant from a cost-saving perspective, especially when you're starting a new business. However, this cost-savings comes with a risk. With an outsourced accounting firm, you have the peace of mind of knowing that your financial statements are being prepared by a team of qualified and experienced accountants. This is important in a variety of situations. When you're meeting with potential clients, you need to be able to negotiate. You can base those negotiations on the financial data and projections that have been provided to you by your accounting team. Additionally, depending on the line of work of your business, you may be bidding on government contracts. In order to qualify for these contracts, you have to follow a strict set of financial rules and regulations. With a white label accounting firm managing the paperwork behind this process, you can focus on going and winning the contract. Take a look at the stack of boxes in your storage room with tax receipts from the last decade. It's easy to see the environmental benefit of keeping digital records. Your in-house team may be used to printing financial records. With an outsourced accounting agency, everything is stored digitally. This not only decreases your carbon footprint, it decreases your overhead costs as well. Paper and toner may be inexpensive items, but these costs add up over time as well as the emotional cost of having to fight with a printer or copier on a regular basis. As a business owner, being able to search electronically for documents rather than searching through physical copies will make it easier for you to find things like financial statements when you need them. While it's inevitable that some parts of running a business are going to be more exciting than others, with white label services at your disposal, you can outsource some of these components. Specifically, with a white label accounting service, you're not just getting someone else to do the work for you. With a good company by your side, you're taking responsibility for your company's financial health by putting it in the hands of a team that will be able to manage it well. Not sure if a white label accounting service is right for you? Contact us today for a free consultation and learn how we can help you run your business more efficiently.